Intel on Thursday reported earnings just high enough to beat expectations -- which were low anyway. Earlier this year, the world's largest computer chipmaker adopted a pessimistic outlook for the rest of 2013 and lowered its profit forecast. That lowered the bar enough for Intel (INTC) to surprise analysts when it reported earnings per share of 58 cents. That's higher than the 53 cents anticipated by analysts polled by Thomson Reuters. The company's shares barely budged in after-hours trading. By the numbers: In the third-quarter, the company fared slightly worse than during the same period in 2012. Sales stayed flat at about $13.5 billion, and quarterly profit dropped 3% to $2.9 billion. Intel keeps getting pummeled by the consumer shift to smartphones and tablets. Nearly two-thirds of its business comes from PC sales, which came in 3.5% lower during the third quarter than it did in that same period last year. Accordingly, CEO Brian Krzanich addressed the company's focus on making sure its chips end up in mobile products -- and just about everything else that could be connected to the Internet. 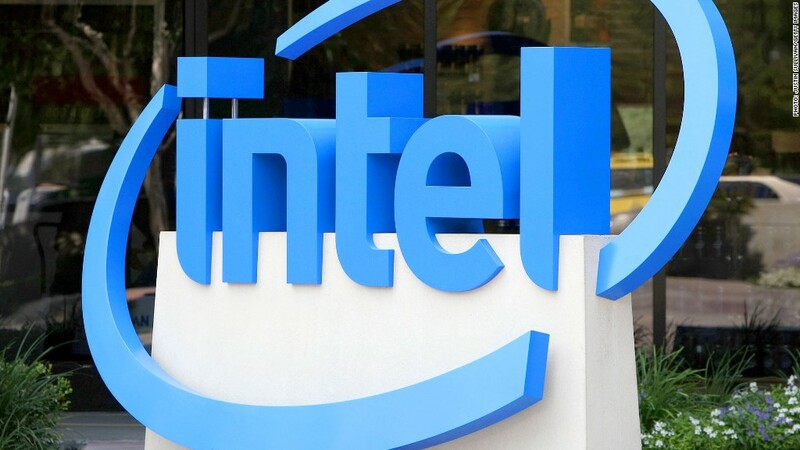 "We're executing on our strategy to offer an increasingly broad and diverse product portfolio," Krzanich said in a statement, noting that Intel has introduced 40-plus products in that vein. Tuesday's earnings reports from Intel and Yahoo (YHOO) kick off a week of filings in the tech sector. Quarterly reports from IBM (IBM) and Google (GOOG) are slated for later this week.